Carolyn Striho | Melodic, jazz-infused Detroit rock-n-roll. Carolyn’s new album, Afterthought, was on the GRAMMY® Awards 2018 First Ballot for Best Rock Album of the Year”! Nominated for over 60 Detroit Music Awards in recent years, Carolyn has won 11 Detroit Music Awards and a Billboard Magazine Award for her songwriting, albums, musicianship and live performances. Carolyn also has toured overseas 6 times in Europe, and also a two-month tour of Japan, playing many national and international festivals including Lollapalooza, Rome Italy’s Donne In Musica, London U.K. Meltdown, and many more. Her musical résumé is quite extensive, with highlights including opening for Steve Earle in England, and performing in Detroit, Toronto, and the U.K. with Patti Smith. Onstage, Carolyn mesmerizes audiences with her fiery performances, heartfelt and poetic melodies, spontaneous improvisation, torch songs and dance beats, but also with a gypsy flourish of modern music. Afterthought has garnered many Detroit Music Award nominations and earned great reviews and airplay. Watch for more music and an upcoming book to be published in fall 2019! 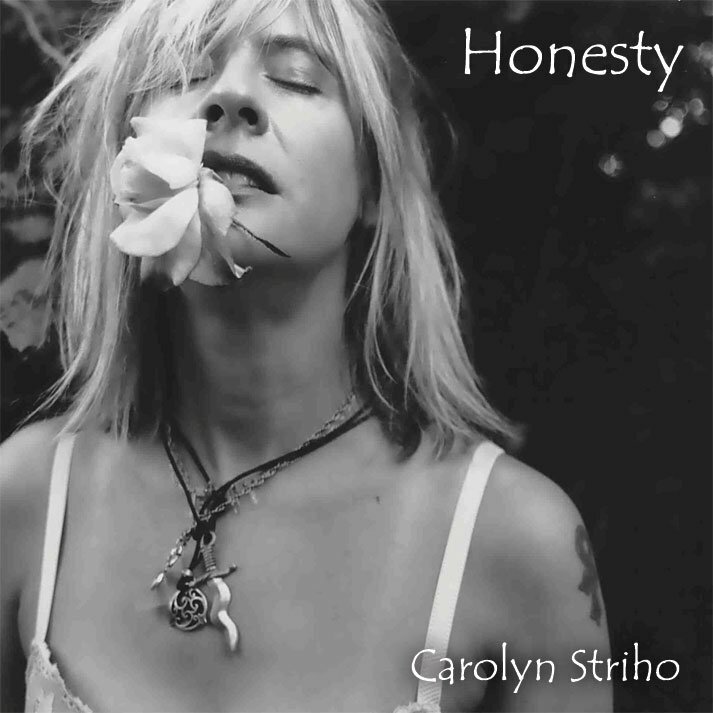 Regarded as one of the city’s best singer/songwriters, Carolyn Striho made her name fronting the dynamic Detroit Energy Asylum and her work with Patti Smith. And in the last couple dozen years as a solo performer, Carolyn has gained a strong reputation for charismatic, high-energy stage performances with her songs, vocals, guitar and keyboards. Wildly original, melodic and passionate, Striho’s music has been described as being written from the silver edge of midnight.